There is a general alarm going through town. 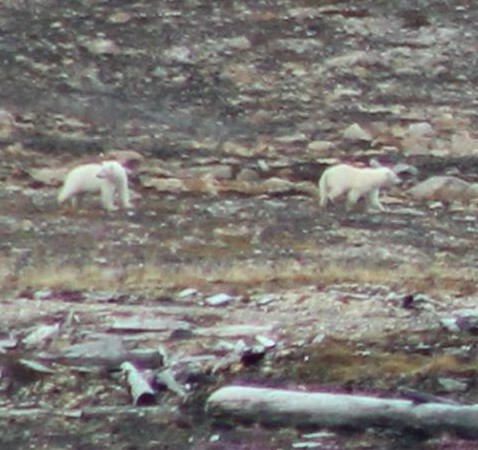 The bears seen yesterday in the innerfjord are now passing south of town. 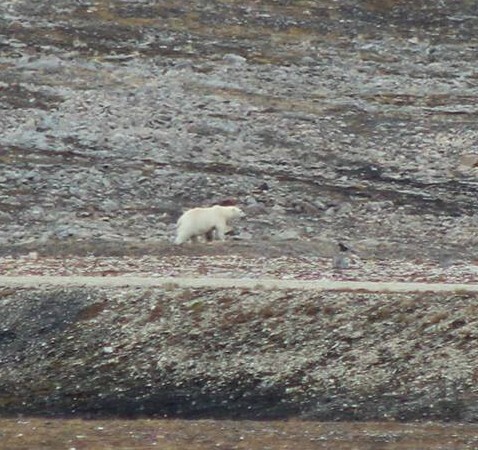 A unique chance to observe them from a safe platform on top of the Sverdrup station. 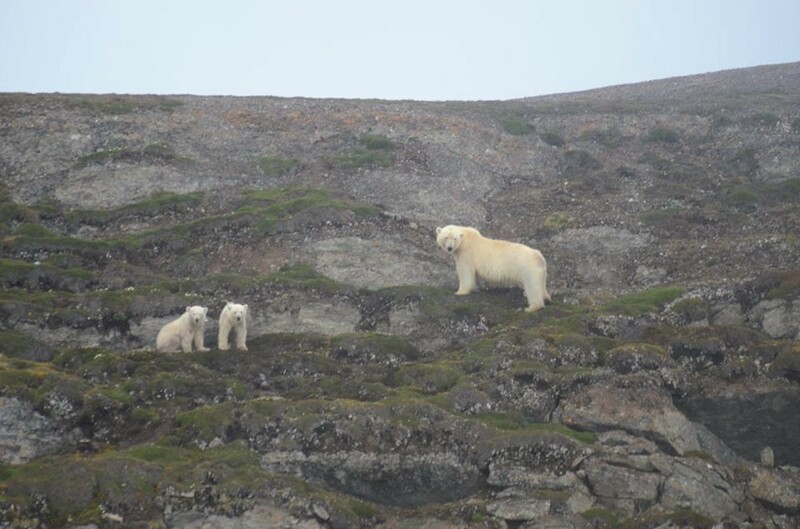 Two kids trailing behind their mom, pictures from Marlon de Haan.